It is the need to express and and to vent restlessness that produces these artworks: it is unrest coming from discomfort and speaking through artfulness and nature. The audience is universal. Tones are colourless, from pure white to dark black, through the whole range of greys. The contents are literally ripped out of everyday life, combined and merged with agonising shapes, exposed to a fantastic metamorphosis, within a dream-like and surreal environment. Viewers will stop to listen, as if waiting for some noise, without knowing whether it will be music, words or screaming. Will the viewers be able to the detect the humour hidden behind that unrest? 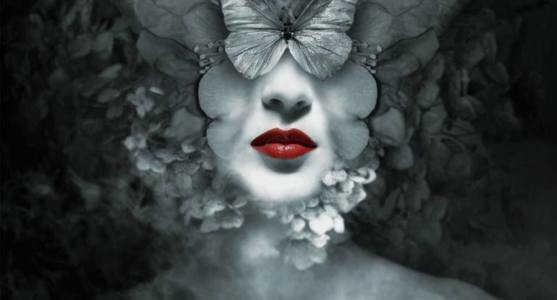 Federico Bebber was born in 1974 in Udine, Italy. Since 1998 he deals with digital art. He uses digital tools based on photography. His creative process usually takes place slowly and at night. 2018 Featured on Saatchi Art's 2018 Spring Catalog. Collection: "Hot Shots: New Photography"
Collection: "Art For The Romantic: In Celebration of Valentine's Day"
2018 Featured on Saatchi Art homepage. 2017 Feature on Saatchi Art "Spotlight on Italy"
2016 Feature on Saatchi Art "New Photography"
2016 Artist of the day on saatchiart! 2015: Featured on Saatchi Art guide "7 Essential Steps to Collecting Emerging Art"
2015 Featured on Saatchiart.com gallery "Statement Art For Above A Sofa"
2015 Featured on Saatchiart.com gallery "B&W Photography"
2015 Featured on Saatchiart.com gallery "Inspired by Klimt"
2015: Featured on Saatchiart.com gallery "Surreal Photography: New Limited Editions"
2015: Featured on Saatchiart.com gallery "Exposure"
2014: Featured on Saatchiart.com gallery "New This Week"
2014: Featured on Saatchiart.com gallery "New Portraits"
2014: Featured on Saatchiart.com gallery "Through the Looking Glass"
2011: Interview for "Multimedia PC Photo"